Mosque of Moulay al-Yazid, also known as Kasbah Mosque, is a historic mosque located in Marrakesh, Morocco. It was built by the Almohad caliph Yaqub al-Mansour between 1185-1190 AD. The mosque was restored by the Saadi sultan Moulay Abd Allah al-Ghalib in the 16th century AD, and later by the Alaouite sultan Sidi Muhammad Ibn Abd Allah in the 18th century AD. 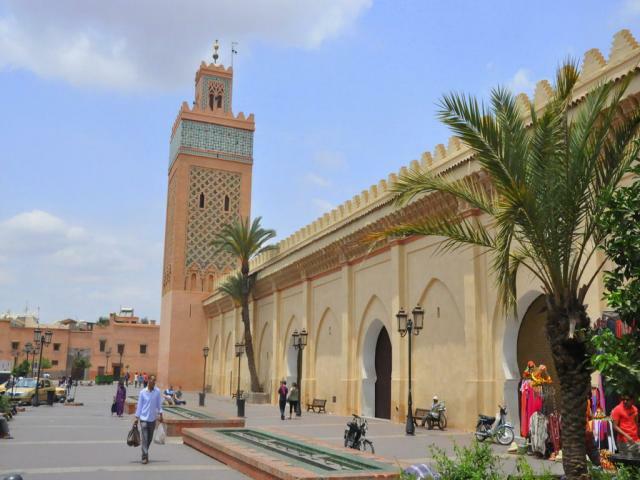 The mosque of Moulay al-Yazid was inscribed as a UNESCO World Heritage Site in 1985 as part of Medina of Marrakesh.